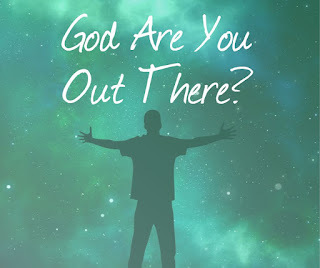 Is God "With" You? God is everywhere but he's not with everyone! A friend was involved in a "grave" sin. He knew it was wronged but said God loves me regardless of what I do and he is with me. He watched a certain television preacher who preaches "nothing you do can separate you from the love of God." Yet Isaiah 59:2 says," But your iniquities have separated between you and your God, and your sins have hid his face from you, that he will not hear." In Amos 5:14 God told the people to" seek good, and not evil, that they may live: so He would be with them as they had spoken." They were living in sin and saying God is with us but he really wasn't. Yes, God is everywhere but he's not with everyone! The word "with" refers to being "for" someone. My friend applied for job, he felt comfortable in the interview, so he called a friend and told him to apply as they had several positions open. His friend was hired but he was not. He was having issues with his mate and son, yet he felt comfortable claiming God was with him as he enjoyed his "sin." The event's in his life proved God was not with/for him, as he experienced one defeat after another. Yes, sometimes God allows negative circumstances to come against us to encourage us to draw nigh unto him. For he is the Lord of hosts as the people noted in Amos 5:13 but the Lord of hosts was not fighting for them but against them. He had fixed his eyes on them to do evil and not good (Amos 9:4). Is God "with" you? As we noted earlier "with" refers to being "for." So the question is, is God for you? Joshua asked the commander of the Lord's army a similar question in, Joshua 5:13 before the walls of Jericho came tumbling down with a shout. Yes, "the LORD is righteous; he loves righteous deeds; the upright shall behold his face (Psalms 11:7). 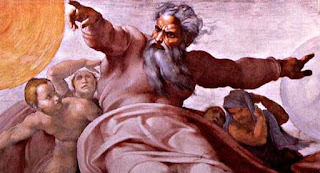 But "God is angry with the wicked every day" (Psalms 7:11). Some will say that's Old Testament but the last book in the New Testament seals the matter and concurs with the Old Testament. Revelation 22:12-17 says, "behold, I come quickly; and my reward is with me, to give every man according as his work shall be. I am Alpha and Omega, the beginning and the end, the first and the last. Blessed are they that do his commandments, that they may have right to the tree of life, and may enter in through the gates into the city. For without are dogs, and sorcerers, and whoremongers, and murderers, and idolaters, and whosoever loveth and maketh a lie. ""I Jesus have sent mine angel to testify unto you these things in the churches. I am the root and the offspring of David, and the bright and morning star. And the Spirit and the bride say, Come. And let him that heareth say, Come. And let him that is athirst come. And whosoever will, let him take the water of life freely." “Why do you ask.” I responded? “Because someone in church said tithing off your gross income is not biblical." "I don’t consider the “net” amount a part of my increase since I did not received it, the government did." Some may not agree but that’s O.K. since giving is based on one’s faith. If you have faith to give off your net income, go for it! 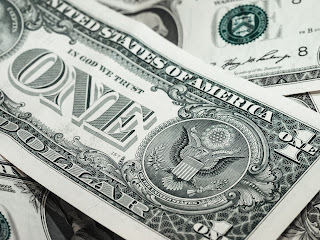 If you have faith to give off your gross income go for it? The only way I will believe in God is if I am granted a personal appearance! Well even if God appeared to you, you probably wouldn’t believe anyway, I said. Maybe or maybe not, was the response. I must tell you this person believes in Aliens although He hasn’t seen one. But he is demanding a personal appearance in order to believe in God. Perhaps, you’ve figured it out, a person doesn’t have to see God to believe He exists. Adam and Eve saw God and still did not believe Him. Wait you say, that’s different, not believing what he says and believing He exists are two different things. But are they really? Because the result appears to be the same. After the Israelites walked through the red sea on dry ground they quickly denied Him. Jehovah who? "We don’t know who delivered us out of Egypt, perhaps this calf that came out of the fire we made delivered us." Although they knew God existed they failed to acknowledge Him, attributing their deliverance to someone or something else. Due to today's political environment many are saying we are living in the last days. A fellow said he realized we are living in the last days, when Donald Trump was elected and named his motorcade limo "The Beast." I haven't told him yet, but it looks like the beast was made and named in 2015 when Obama was president. So because the president rides in a limo called the beast may not be a sign we are living in the last days. But I am sure about one thing occurring in society that proves we are living in the last days, it is the rise of "offence". In Matthew 24:10, Jesus said, "And then shall many be offended, and shall betray one another, and shall hate one another." Notice the verse said "many shall be offended." Can we say many are "offended" these days? People become offended by many things. Leaving some of us wondering what in the world is going on.